While nu metal was not really all that new at the time, Korn definitely stirred up the waters when they showed up. 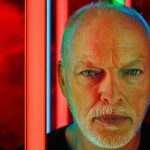 They have introduced a whole new tone to the game, with their super down-tuned bass lines and driving riffs. The public responded accordingly., giving the band enough attention to launch them into a stardom. 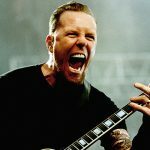 Aside from Jonathan Davis and his piercing vocals, it’s fair to say that James ‘Munky’ Shaffer had a lot to do with designing and shaping the overall tone of the band. When Head left, it was Shaffer who kept the band together, rewriting just about every song they’ve had so it could be played by him alone. No matter what you think about this genre of music or Korn as a band, doing what Munky did and doing it successfully takes some skill. The effort eventually paid off when Head returned and the band more or less continued where they stopped. 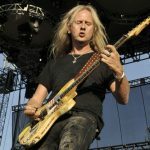 Due to his rather unique tone, we wanted to check out what type of gear Shaffer has been using and still does. In many ways knowing this piece of information is key to understanding Korn and where their sound comes from. Shaffer and Welch did something not many guitar players even considered doing before. They have managed to write guitar lines which tell a story, while at the same time leaving enough space for Arvizu to just pave the way with his bass guitar. The resulting tone is something that can smash a solid rock into pieces, only countered by Jonathan’s balanced vocals. Achieving this type of harmony is not easy, especially if you don’t have the right gear for the job. 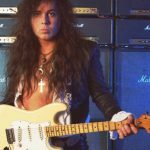 We are going to start the rundown of Munky’s favorite equipment with a quick look at his guitars, later we are going to focus on the amps, and finally his effects pedals. When it comes to guitars, Shaffer is known for sticking with Ibanez through thick and thin. With that said, it’s just any Ibanez that he found suitable for his intended application – it’s the K7. This seven string model had all the girth Shaffer needed to create those low, hard-hitting tones that Korn eventually became famous for. 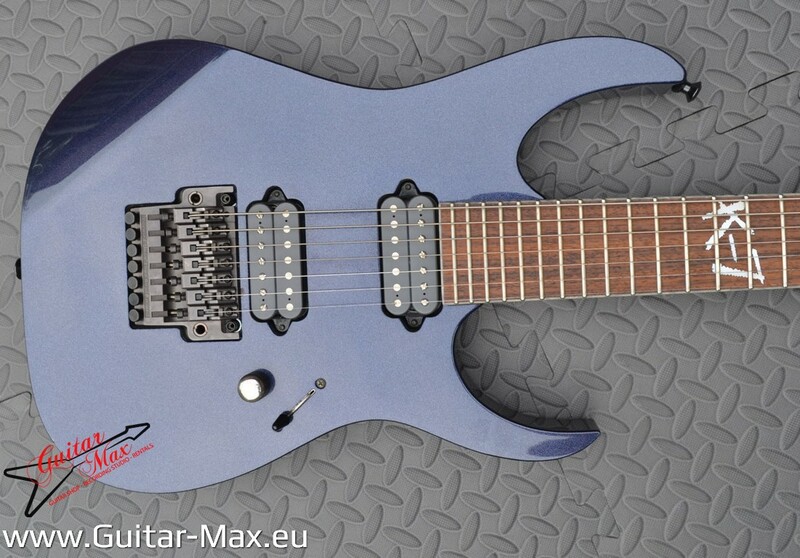 However, K7 is just one of many Ibanez models he as. There’s a K14, an RG8 and even the UV7BK which is also known as the Steve Vai signature model. That K7 and K14 have been developed with his input, and needless to say, they are brutal guitars in every way. What surprises a lot of people is the fact that Munky also has a taste for Gibsons and Fenders. He owns a 1964 Fender Stratocaster, Gibson Les Paul BFG, and even an elusive Gibson lap steel guitar. Can you even imagine Shaffer rocking a Strat? 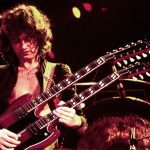 Neither can we, but a musician of his caliber deserves a lot more leeway when it comes to taste in guitars. There’s no doubt that Shaffer is capable of a lot more than he lets on. 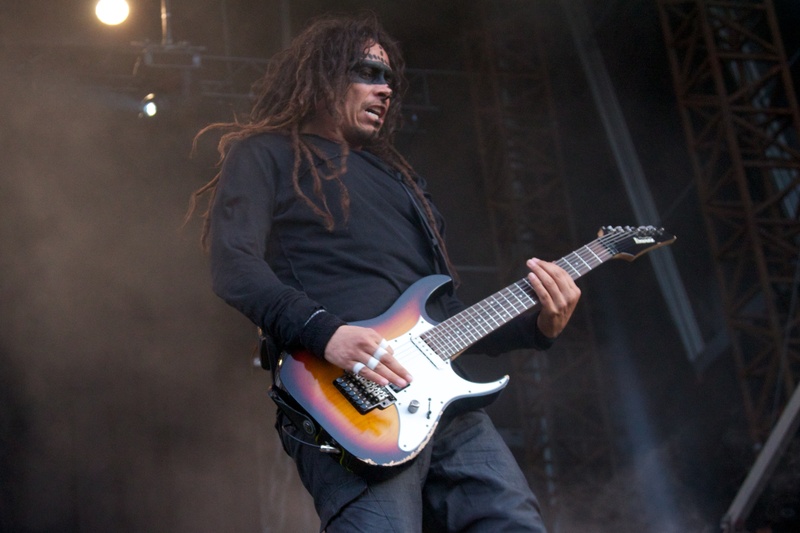 Munky also designed his own Ibanez signature APEX series of guitars, including the 200 and the 20, which he talks about in the video below. If his guitars are any indicator, Shaffer is a straight shooter. He finds what works and sticks to it. This policy definitely applies to his amps as well. For the most part, the tone and distortion you hear in the majority of Korn songs come straight from the tubes of a Messa/Boogie Tripple Rectifier. Three of them to be more exact. However, these are not alone. He also has a Diezel VH4. Each of these four amp heads corresponds to a specific channel. Instead of switching through clean and dirty settings on one head, Shaffer simply took four heads and hooked them up to achieve a more robust setup. 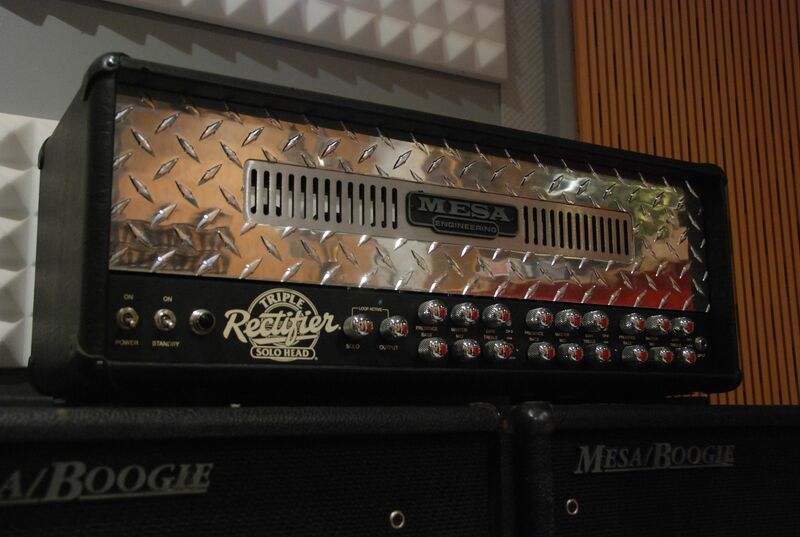 This ultimate combo is ran directly into three Mesa/Boogie cabs which feature four 12 inch Celestions each. All things considered, Shaffer’ss main setup packs a whole lot of firepower. Aside from his main configuration, Munky also has a vintage Marshall Plexi, a Bogner Uberschall, and a Vox AC30. All three of these were actually used to record ‘The Path of Totality’ some time ago. Shaffer applied the same policy with these amps and used each one as a standalone channel. 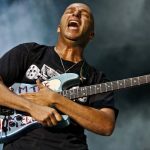 Shaffer himself describes his pedalboard as a spaceship. The reason why becomes obvious once you take a single glance at it. Not only is it always full with various pedals, but the pedalboard he runs is a custom piece likes of which you simply don’t get to see all that often. It’s complex and extensive, to say the least. As for specific stompboxes he has on there, one that really peaked our interest is the DigiTech Metal Master. You would think that a pedal of this type would simply be unnecessary considering those three Triple Rektos in the back, but Munky has other ideas. Essentially, that Boss MT-2 Metal Zone gives the dirty channel he runs a bit more width and range. 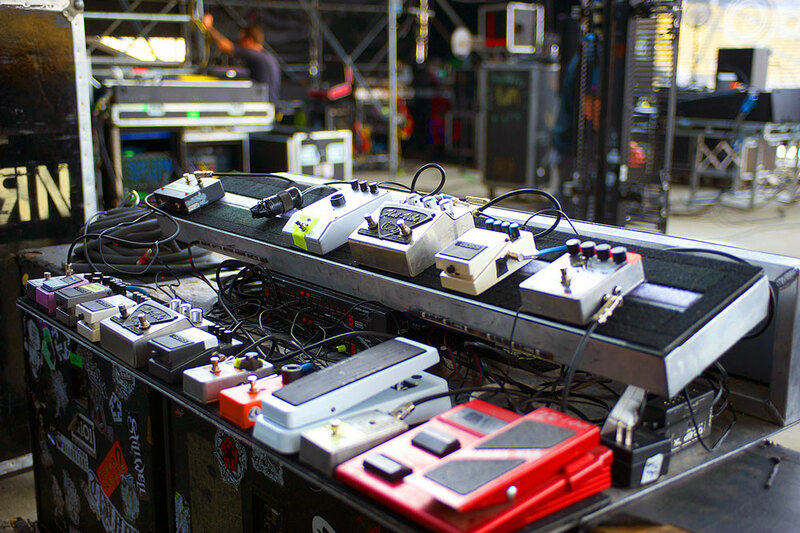 When it comes to other effects pedals, there are so many. We can single out the Dunlop Cry Baby 105Q Bass Wah and the good old Big Muff Pi from Electro-Harmonix. DigiTech Whammy is also there, along with the Chimera Synthesis bC9 and so many others. Shaffer is definitely one of those guitar players who isn’t reluctant to build up a complex signal chain and use the tone of his guitar as a canvas. James Shaffer’s guitar rig is among the more complex ones you can run into. With that said, his choice of equipment perfectly describes what kind of artist he actually is. Always on the lookout for ways to enrich his tone and make it better, Shaffer is the master of signal chains. 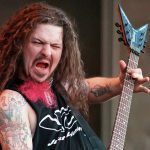 If you are trying to perfectly match the tone of Munky’s guitar setup, you might just find out it’s not as easy as it seems. There are a lot of factors in the play, some of which even seem excessive. 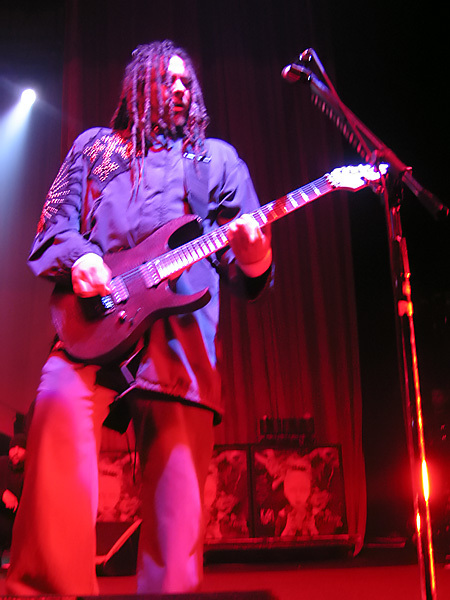 Either way, Shaffer’s skills and choice of equipment gave Korn its identity. That is something we can definitely respect.